Our priority in any filming endeavour is to ensure safety at all times. We operate within the guidelines set by Aviation Canada and to a strict operational protocol. This allows us to focus on delivery and capturing the best possible footage, while keeping crew safe and clients satisfied. The remote controlled helicopter will be flown within self-imposed safety limits at all times. Flying no further than line of sight from the Pilot, maximum 500 metres. When flying outside Class G Airspace action will be taken to inform and be in contact with nearby aerodromes and ATC about the operation. Flying in winds of no more than 30 km/h. No flying in rain or snow. Flying within line of sight of the Pilot or an observer involved in the operation at all times. Flying no closer than 30m from buildings, property or people not associated with the operation. Flying no closer than 10m from buildings, property or people that are associated with the operation and for which provisions have been made for their safety. Flying for no more than 10 minutes of continuous flying time without landing for battery replacement. Each flight maneuver to be executed will be carefully planned. 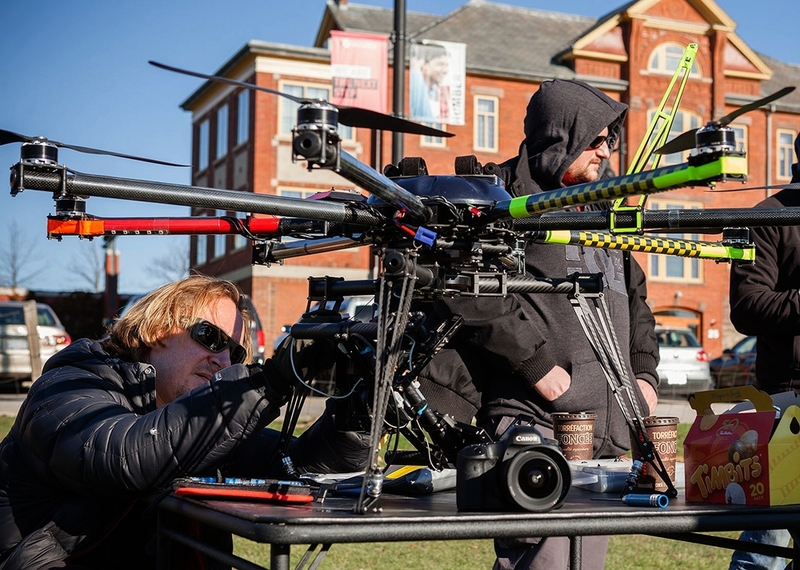 The Pilot will coordinate with Camera Operator, Primary Safety Spotter and the producer on the precise maneuver to be performed and will have the right to refuse executing the maneuver, or appropriately modifying it, if he deems it to be unsafe. Wind and weather conditions affecting the flight. A primary landing location and procedures and safe landing locations in the event of an emergency.